Free Cone Day is April 4th! What flavor will you choose? I scream, you scream, we all scream for free Ben & Jerry's ice cream! The Vermont-based ice cream chain will celebrate its annual Free Cone Day event on Tuesday, April 4. Customers can get a free scoop of their favorite flavor from 12 p.m. to 8 p.m. at participating locations. And if after enjoying a Cherry Garcia cone your taste buds yearn for some Phish Food, just get back in line for another free cone. "Over and over again. We're not counting. Really, go for it," the company said on its website. 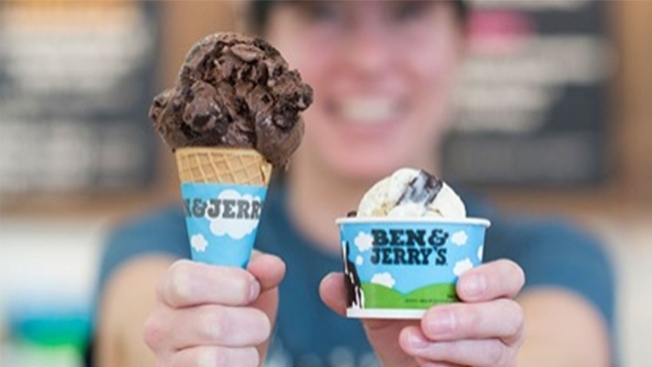 The first Free Cone Day was in 1979 — one year after co-founders Ben Cohen and Jerry Greenfield launched the company in a renovated gas station in Burlington. The tradition has since expanded globally, and Ben & Jerry's says it will hand out more than 1 million free scoops this Tuesday. Click here to find a participating Ben & Jerry's location near you.